Burghound - Almost invisible wood sets off ripe, overtly exotic and relatively dense orchard fruit aromas that are almost like those of a dessert wine. There is a lush and opulent mouth feel to the full-bodied flavors that possess good depth and length on the nicely dry finish. This very forward and generous effort is not typical but it is delicious. It should drink well almost immediately. 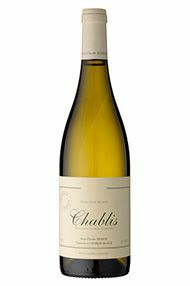 Jean-Claude Bessin's wines seem to take on his personality: his range of Chablis wines are among the most highly regarded in the region. 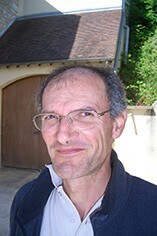 Based in La Chapelle Vaupelteigne, north of Chablis town, Jean-Claude's first vintage was the 1992. Though trained as an architect Jean-Claude Bessin preferred to take over the vineyards of his Tremblay father-in-law who adhered to the co-operative. From his 12 hectares he produces Chablis vieilles vignes, Chablis Montmains premier cru wines, Chablis Fourchaume premier cru and Chablis Valmur grand cru wines which is partially barrel-fermented. A special cuvée of Fourchaume is labelled as La Pièce au Comte while from 2006 premier cru La Forêt has been bottled separately from the Montmains. Evolution in recent years has been towards more natural winemaking. The majority of the crop is now harvested by hand, with natural yeasts preferred for fermentation. The wines have a long élévage on fine lees, the crus being bottled after 15 to 18 months, with a proportion of barrel fermentation and maturation for the top wines.